Carlino Dolci (Florence, 1616 – Florence, 1686) was an Italian painter of the Baroque. He was active mainly in Florence. Dolci is renown for his highly finished religious pictures. 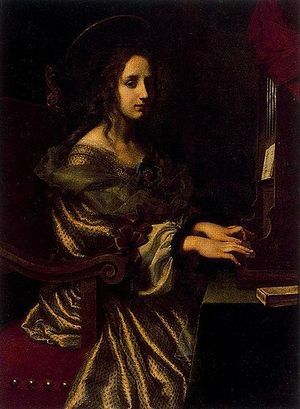 Carlo Dolci. Harvard Art Museum. Dolci, Carlo. State Hermitage Museum. This page was last modified on 26 September 2018, at 09:07.